All Plans Include Unlimited: Mailboxes, Forwarders, Databases, FTP Accounts, & More! Advanced Hosting works great for a majority of websites. If your website needs additional resources choose either the Professional or E-Commerce options. Virtual private servers are for sites getting over 50,000+ hits to their website per month. These VPSs allow additional optimizations not available on standard hosting. 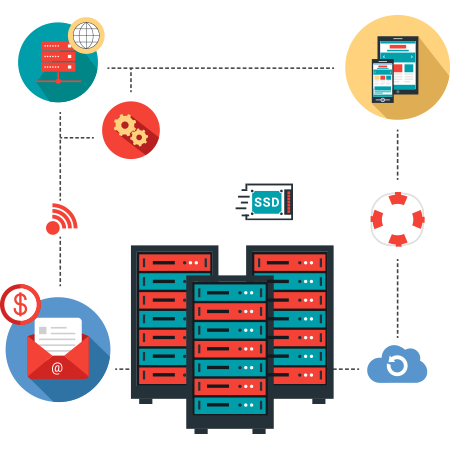 We can build your VPS from the ground up by installing a state of the art OS like CloudLinux, CentOS, Debian, or Windows NT, and only installing necessary software your website. VPSs are able to handle advanced server caching programs like memcache, APC, and XCache, which dramatically improve website performance.